Rachel's boyfriend, Cory, knew how much she loved their Labradane (Labrador mix with Great Dane), Bruiser, so he surprised her with a Frame Your Pet gift certificate. Rachel is crazy about Bruiser and was so excited to schedule a pet photography session. While Rachel has a lot of iPhone photos of Bruiser—he even has his own Instagram account!—she didn't have any professional dog portraits of her best friend. 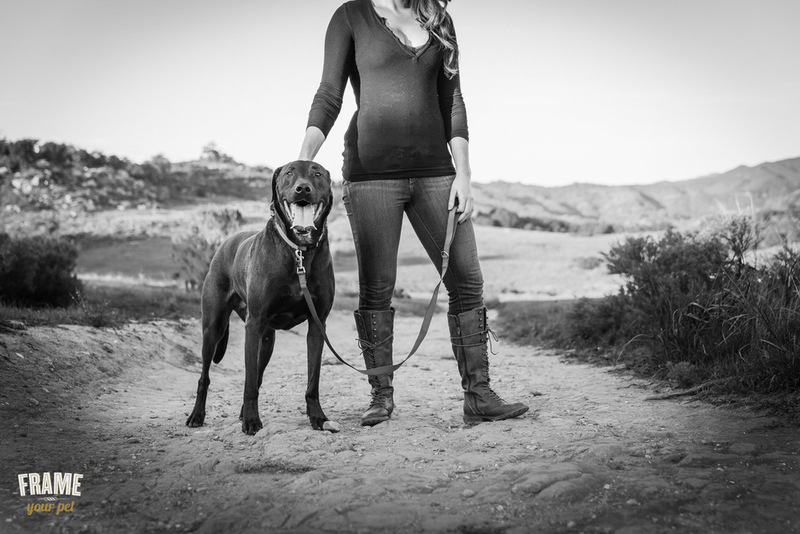 Bruiser came into Rachel and Cory's lives in an unexpected way. Rachel had been wanting a dog for a long time and was reviewing local animal shelter adoption listings when Bruiser showed up on Cory's doorstep the next morning. From that day on, Bruiser was part of the family. In the past, Rachel had been hesitant to hire a pet photographer because Bruiser is not very obedient off-leash. During my dog photography consultation with the couple, they expressed these concerns to me, so I made sure to find a Los Angeles location that would be safe for Bruiser, and Rachel and Cory would feel comfortable with him off-leash. 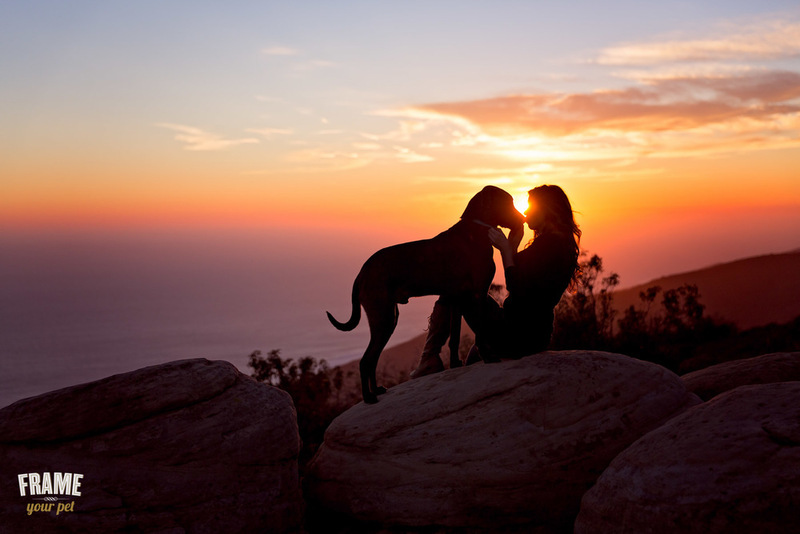 I decided on Charmlee Wilderness Park, which is a dog-friendly park on the coastal bluffs of Malibu. 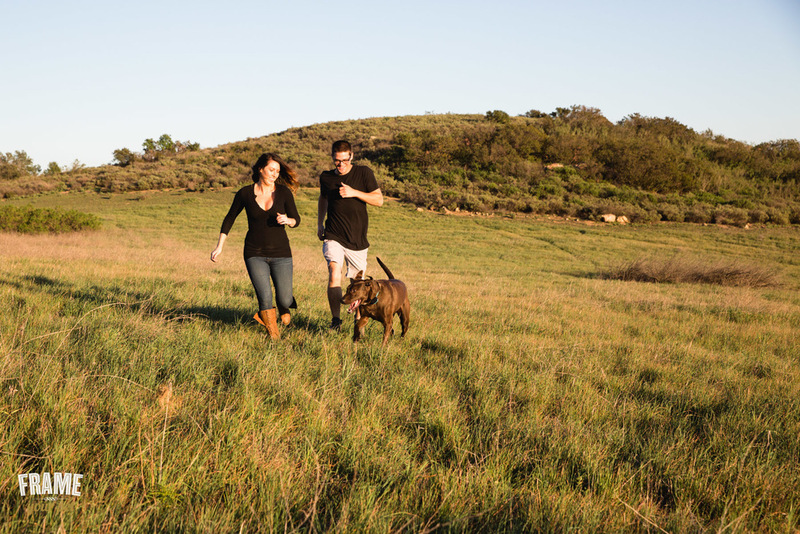 Live oak tree lined trails, spacious grassy meadows, and rocky ocean overlooks, Charmlee was the perfect spot for Rachel, Cory, and Bruiser—and not to mention a dog photographer's dream location! The deep connection between Rachel and Bruiser was evident before I even pulled out my camera. 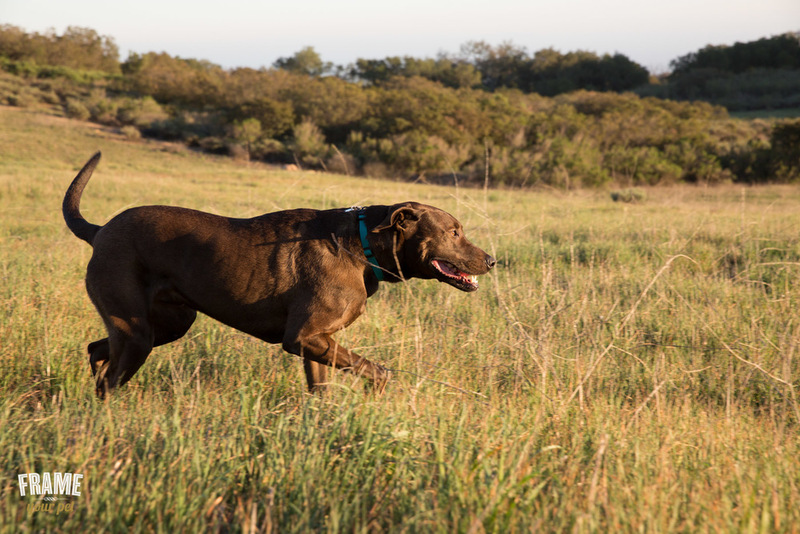 Bruiser enjoyed exploring new terrain, romping through fields, and sharing a few tender moments with his family. 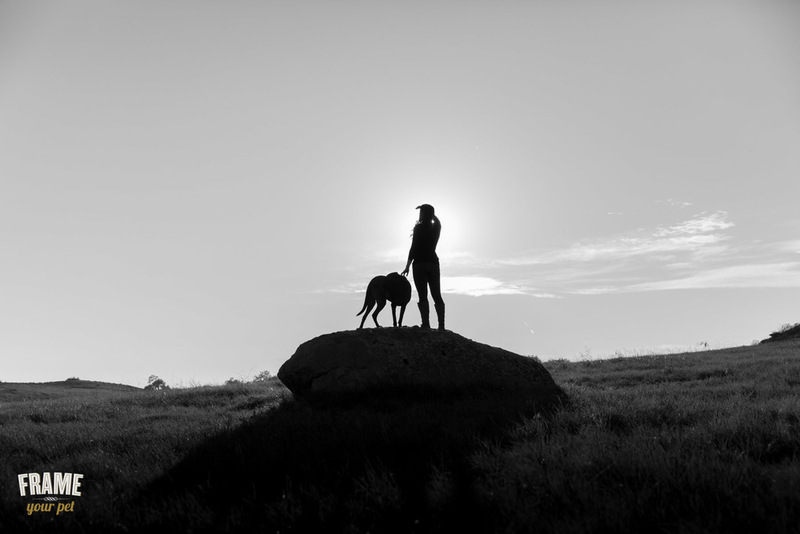 We ended the dog photography session at sunset on the rocky bluffs overlooking the ocean. Worn out from all activity that day, Bruiser relaxed on the rocks, content to sit with Rachel as the sun slipped below the horizon.